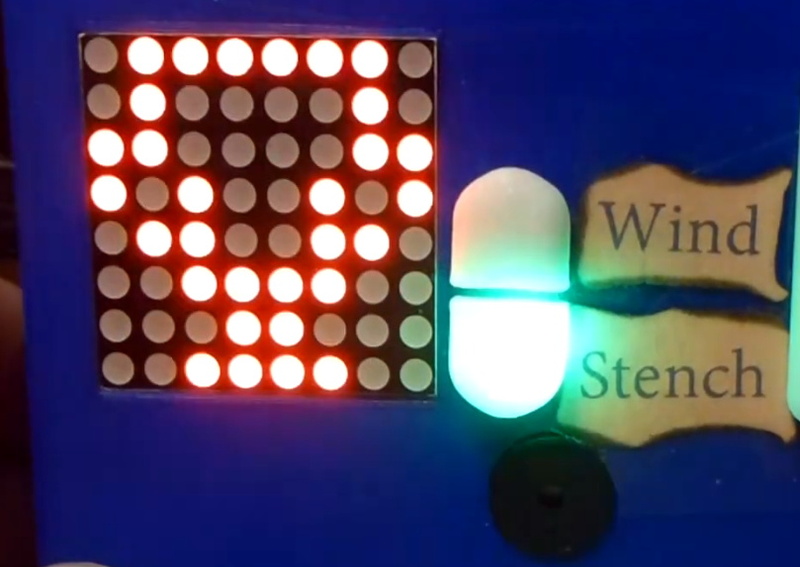 If you’re looking for something to do on a boring Sunday afternoon, how about dusting off your Arduino and playing a text adventure? [Louis] wrote in to tell us about his project called AZIP, an app that will let you play classic 1980s text adventures on your Arduino. The famous Infocom text adventure games such as Zork and Hitchhiker’s Guide to the Galaxy (reputed to be better than the book, by the way) all ran on a virtual machine called a ZMachine. We’ve seen a few unsuccessful attempts to run a ZMachine on an Arduino, but these builds usually end up going with a Linux-based single board computer. As far as we’re aware, [Louis]’ build is the first time classic text adventures have been available on the Arduino. [Louis] based his build on the popular Jzip ZMachine. The required hardware is fairly minimal – just an Arduino with an SD card. Right now the limitations of Flash and RAM on the Arduino means [Louis] needed to remove the game save and restore functions, but with a little clever coding and continued development those functions can be restored. Very cool indeed. A few months ago, [Ulysses] had a project in mind that would run Zork on a TDD. Although it was a bit of a struggle getting the project ready in time for the Bay Area Maker’s Faire, the accompanying build blog tells us it was more than worth the effort. After hooking up the guts of the phone to an Arduino Pro, A modem was modified so the acoustically coupled TDD could be interfaced. Although the TDD display is only one line, [Ulysses] is transmitting the text at only 45.5 baud, So even the slowest reader could keep up with the story. For running the actual code, initial attempts at using an Arduino Pro, and then Arduino Mega proved unsuccessful because of the limitations of sram in these AVRs. After discarding the idea of running Zork on an Arduino, the project was finished with a single board FitPC computer mounted inside the phone. The code of the project runs Zork on a port of the Infocom Z-code Interpreter Program, or ZIP. A lot of interactive text adventures were put out in the Z-code format, so we’re guessing it would be trivial to have this project run Leather Goddesses of Phobos, or the amazing Hitchhiker’s Guide to the Galaxy. It’s a very nice project, and we could easily see ourselves sitting down with this project, a two liter bottle of Shasta, and an all-Rush mix tape on a Saturday night. [Rossum] just finished porting Zork over to the Microtouch. This hardware, which he originally designed, is now available for purchase through Adafruit. It’s a tiny 320×240 TFT touchscreen, driven by an AVR ATmega32u4 microcontroller. 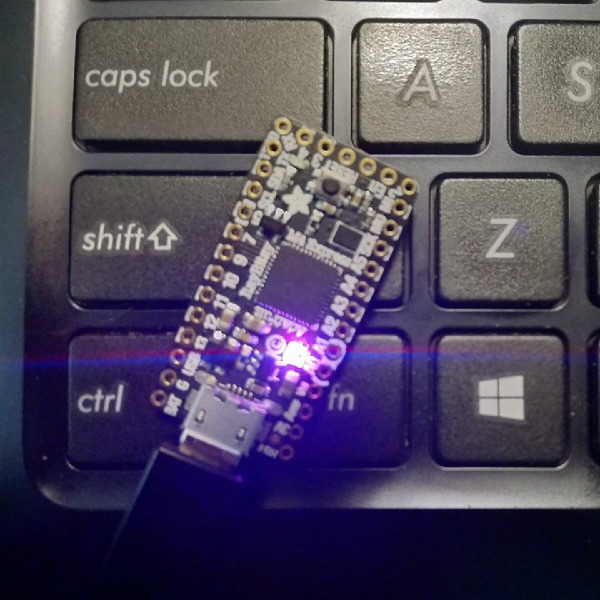 The device draws power from a lithium battery, and also boast a USB connection and a MicroSD slot. The hack here is getting Zork to run with the limited resources available on the device. [Rossum] needed to emulate the Z80 processor, but didn’t want to use extra hardware in the way that [Sprite_TM] did when he emulated a Z80 using an AVR. Instead, this is based on a stripped-down implementation of Frotz. The final code is too big to fit on the chip along side of the bootloader. This means you’ll need to use an ISP programmer in order to flash this example to the chip. We’re pretty sure that AVRdude can program the ATmega32u4, so pretty much any ISP (including an Arduino) can be used to do the programming.